Llewellyn Preston Williams was born in 1853 in Wrexham, Wales, son of William R Williams and wife Mary. He married Mary Ann Harden (1861-1936) in Waterloo on 11 December 1883 and they had six children. Llewellyn Preston Williams lived at 51 and 57 Botany Road, Waterloo. He died on 7 March 1935 at Manly, aged 81 years, and he was buried in Manly Cemetery. Llewellyn Preston Williams left a Will and his estate and assets were assessed at £8,401. Llewellyn Preston Williams was a member of the Pharmaceutical Society of NSW for many years. He was President of the Waterloo Ladies Relief Society 1898 and a member of the City Railway Extension League. As Mayor he distributed prizes at the Waterloo Ragged School 1890. Llewellyn Preston Williams was a justice of the peace (JP). 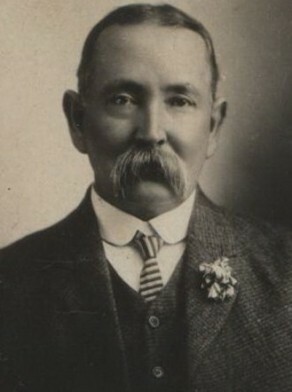 In 1910 Williams proposed local government officers be brought under the Public Service Act in relation to superannuation and leAvenue of absence. He was hailed as introducing progressive municipalism into Council.